After coming home from vacation, we have a lot of catching up to do around here! 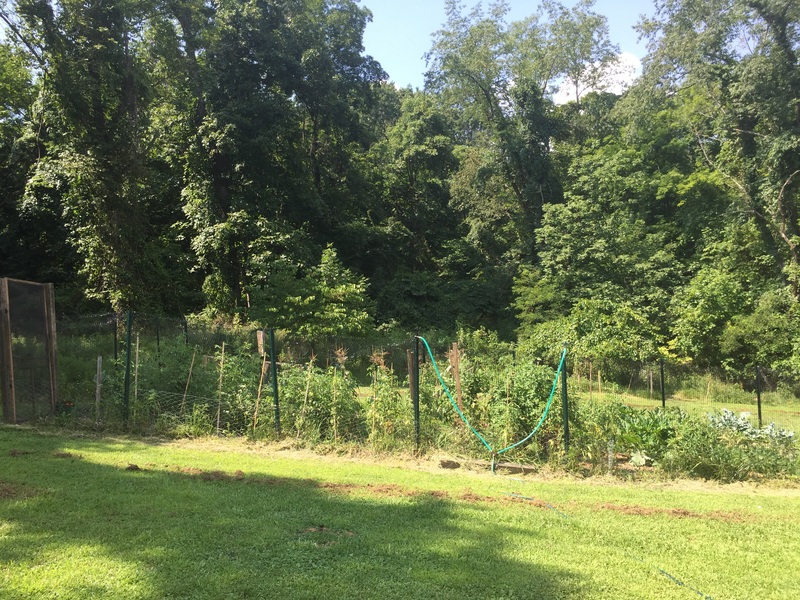 The garden is growing fast and really starting to produce some delicious food! 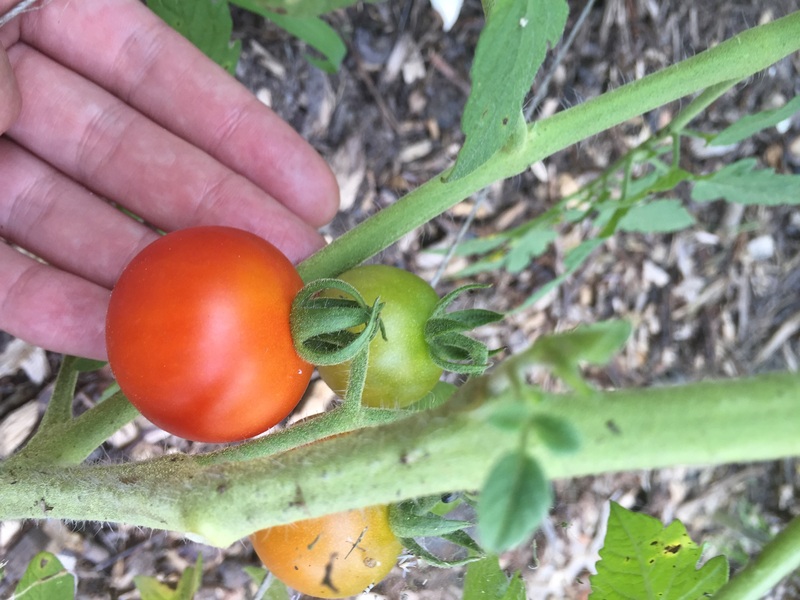 Technically our neighbor who watched the garden got the first tomato! Lucky girl! 😉 but looks like the second one is mine! The boys won’t touch them unless they are made into pizza sauce or spaghetti sauce! 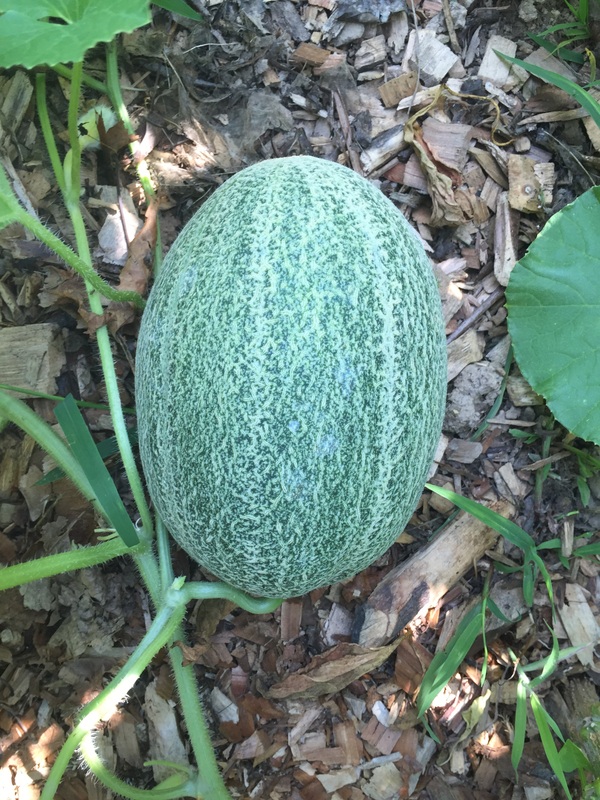 I can’t wait until this beautiful muskmelon ripens! It looks delicious! I can’t believe that only a couple of weeks ago it was a teeny tiny fruit! The wood chips are working well at keeping the melon off of the dirt! 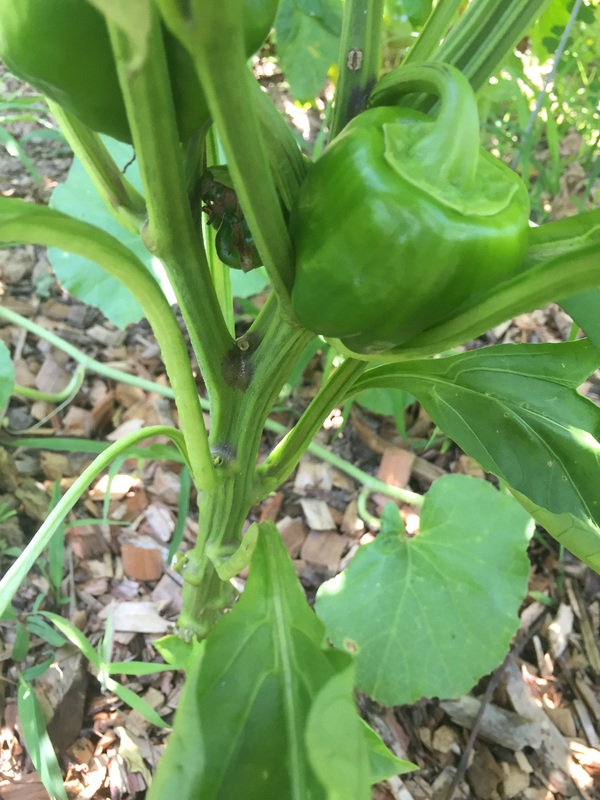 And below is a picture of some of the beautiful green peppers that are growing! They are a little behind because we start ours from seed, but they will still be giving me some yummy peppers soon! 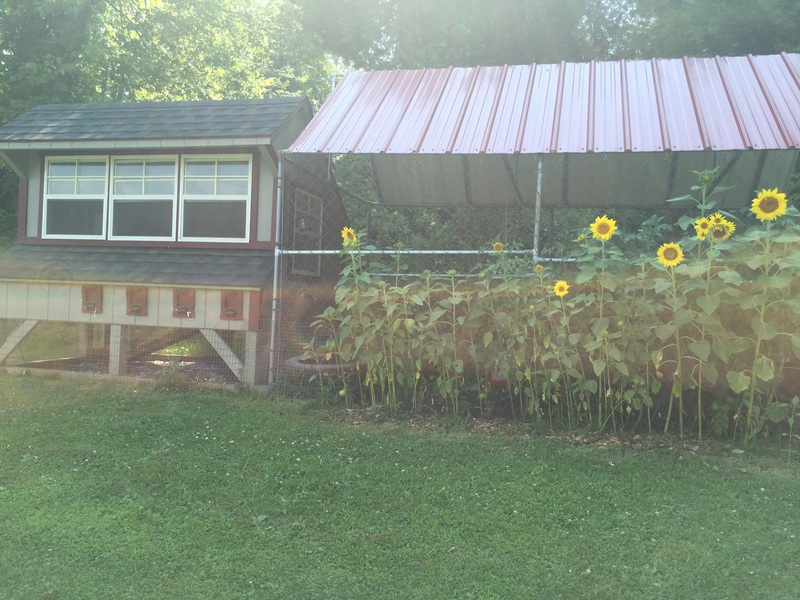 I am so excited about the beautiful sunflowers that are growing right outside the chicken coop and run! It gives the ladies some extra shade in the summer and are just beautiful! Plus the added bonus that they will produce seeds for our girls! Have you been to the lake to see the fields of sunflowers? Amazing! 219 outside of accident on the right. Gorgeous! Must be 5 acres of them! I have not, but now I need to! I bet that keeps the bees happy!